Fall is rapidly approaching! 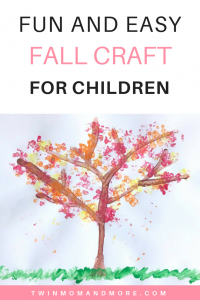 This fall craft for kids is easy enough for older toddlers or preschoolers to do and it is SO FUN. 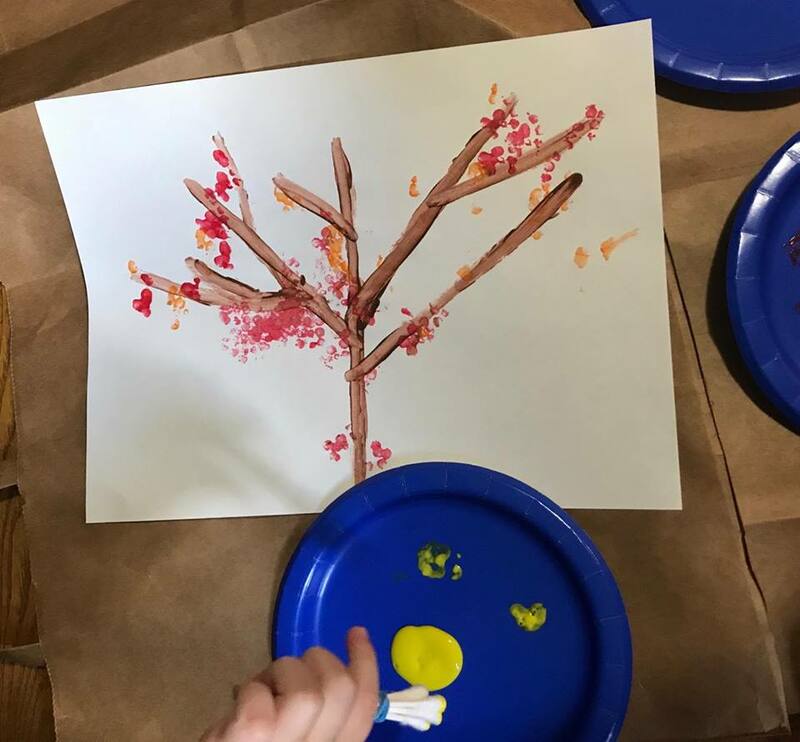 Painting fall trees is a great way to teach your children about the leaves changing colors and other things that occur during the autumn months. When I look for crafts to do, I look for minimal prep work (we’re talking opening a jar of paint here!) and something that’s easy enough that my 3-year-old can do with minimal help. I try to sit and do the activity with him, but with 1.5-year-old twins, I usually have to get up at least 577 times to stop them from whatever deconstructive activity they are doing. 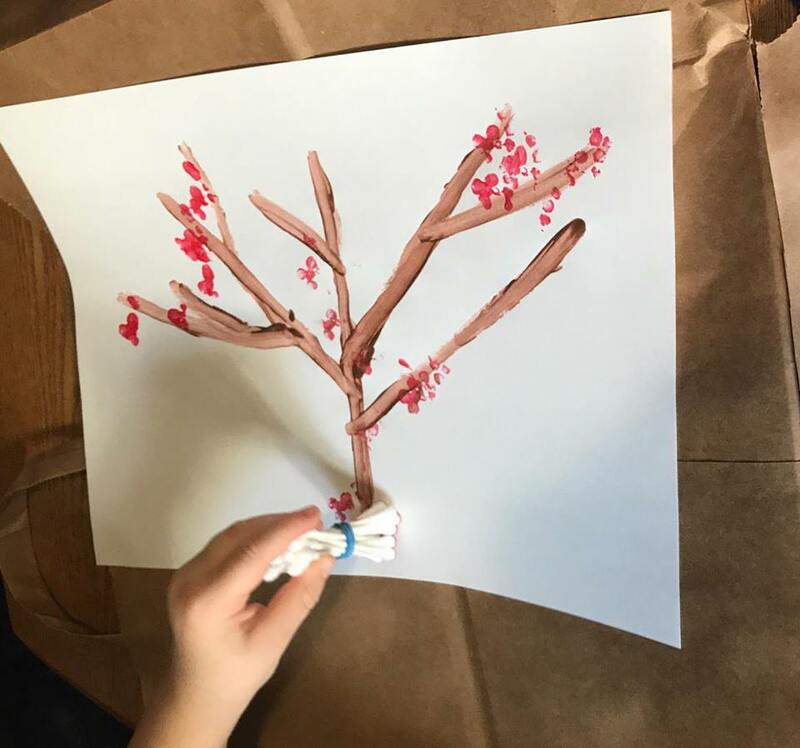 First, paint an outline of a tree. You can use a paintbrush to make it easier, but I just used a Q-Tip. Less to clean! 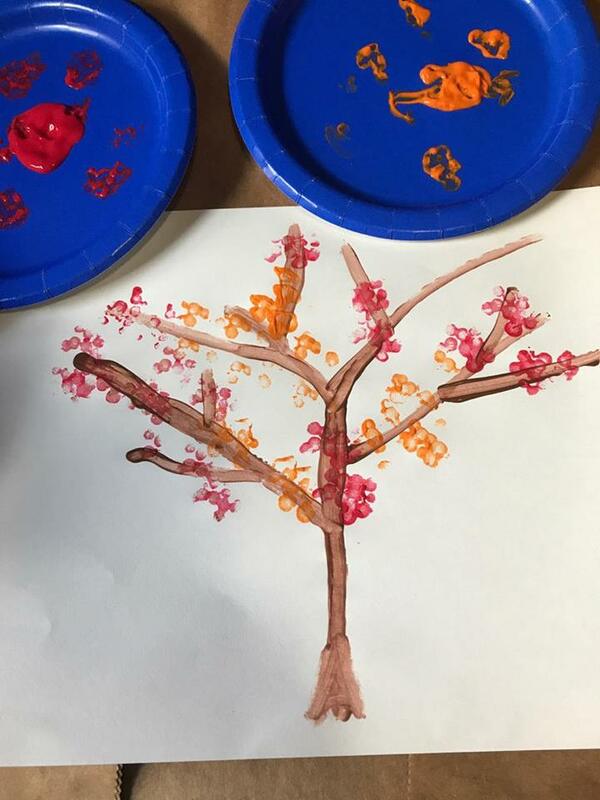 After I painted our branches, I poured small amounts of paint onto paper plates. I bundled a bunch of Q-Tips together with an elastic band and had Theo practice making the leaves on a separate piece of paper. 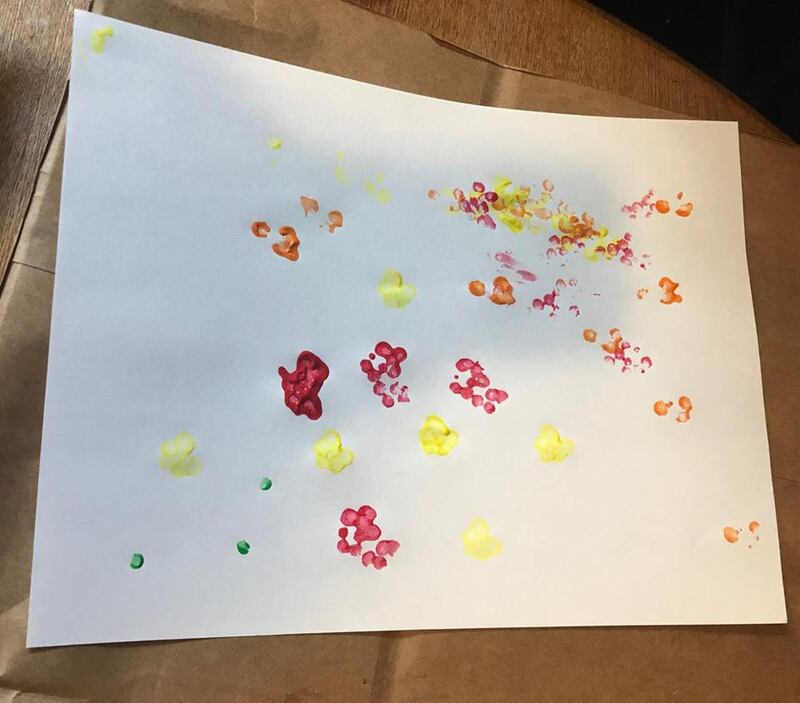 I showed him how to dip the Q-Tips into the paint and then dab them on the paper plate to remove excess paint. Then just gently dot the Q-Tips over the tree to make the branches! 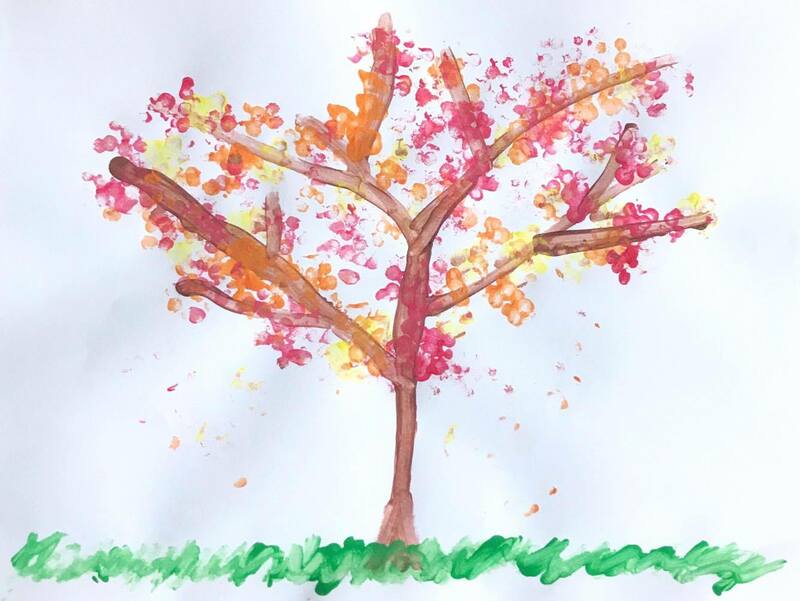 Theo decided to paint leaves on the trunk of his tree. Ha! We decided to add some grass to the painting. All in all, it was a fun craft to do! Theo wasn’t as focused as I thought he would be, probably because his sisters were running around playing. He also wanted to use every color (purple leaves??) and then wanted to make a butterfly. 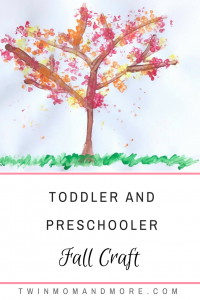 I want to do it with him again and have my husband take the twins out of the house so that I can allow him the freedom to really explore and be creative. 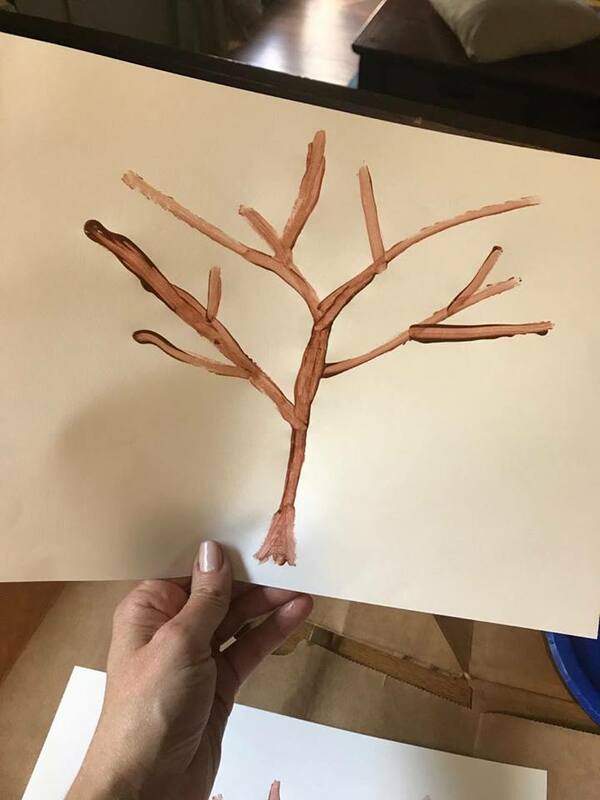 I have no problem with him making his tree have purple leaves, but I wanted to open as few jars of paint as possible with three toddlers in the house. I am just being real! 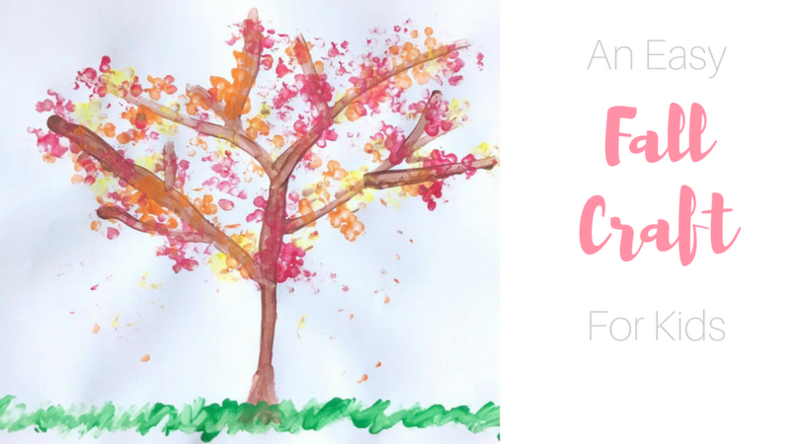 You will also love my list of the best fall books for children! 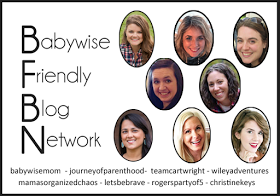 Today, the ladies of the BFBN are all blogging on the topic Fall. 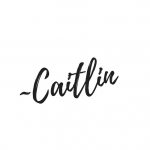 Check out the other posts!